"Just make something basic," they said. "SMALL cookies," they said. "I mean it Kayle-nothing weird or fancy," my mom said (let's be real....they're all my mom). These were my super subtle suggestions for the cookies I was tasked to bake for my grandma's 80th birthday party. Silly people. I can make basic. No problem. ...I mean....sure....the chocolate chip cookies I made were technically dairy-free because I used coconut oil instead of butter, but you can't tell! And yes....these cookies are also dairy-free AND gluten-free....but...again....YOU CAN'T TELL. Seriously. I can't. They didn't. You won't. 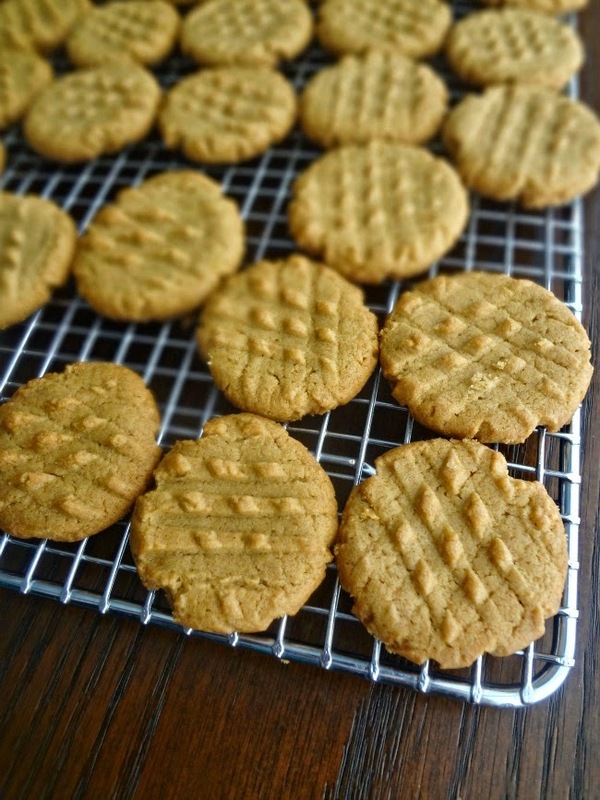 These are going to taste like a classic, no frills, wonderful peanut butter cookie. A bit crisp, a smidge crumbly. 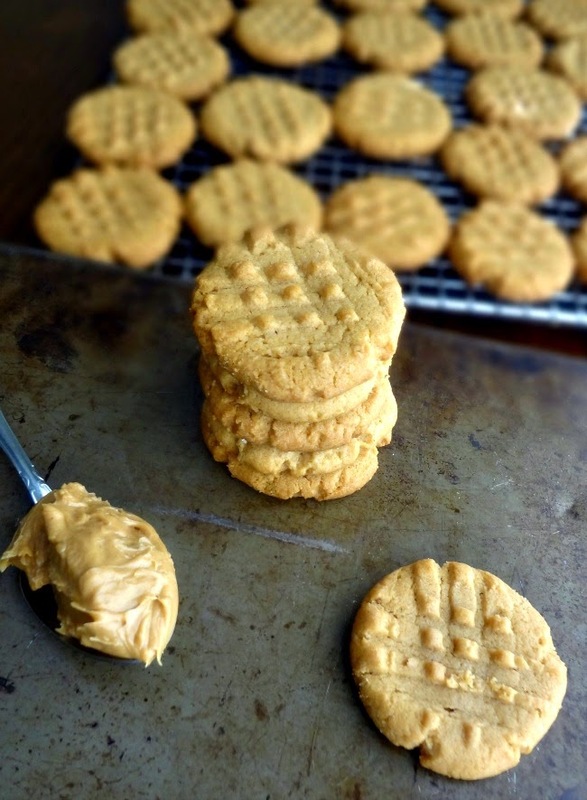 And the perfect amount of peanut buttery deliciousness. 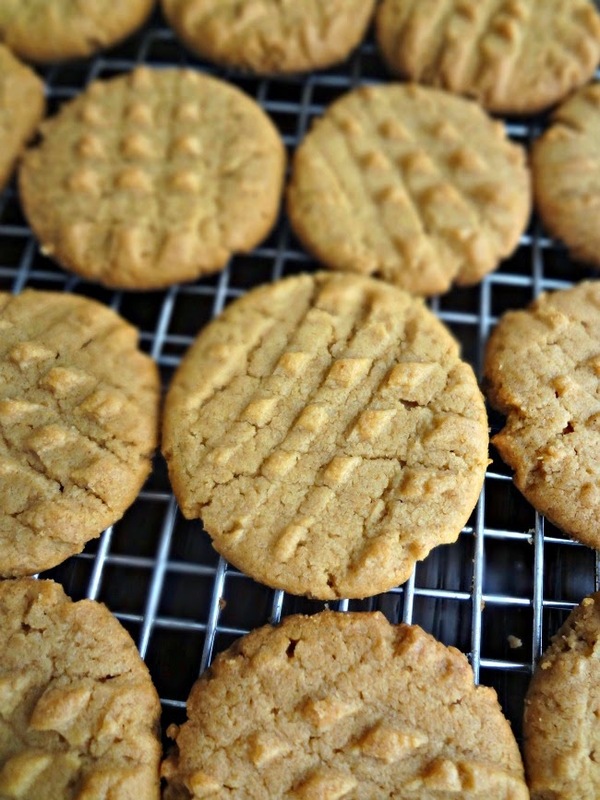 It's our little secret that these cookies are made with only 5 ingredients. And they have no flour. Or butter. This is one of those recipes that's sort of insanely easy. It's even easy to remember (just think of it as 1 cup pb, 1 cup sugar, 1 egg, and 1 tsp. baking soda)! You mix it all in one bowl so there aren't even a lot of dishes! If you're trying to bake up a bunch of treats for the holidays I HIGHLY recommend these ones-you probably already have all the ingredients, super quick and easy, not too many dishes, and they're even good for pleasing certain dietary restrictions! And they're delicious and basic enough that my family liked them. Preheat oven to 350F degrees. Line a baking sheet with parchment paper, silicone baking mat, or just lightly grease with nonstick cooking spray. 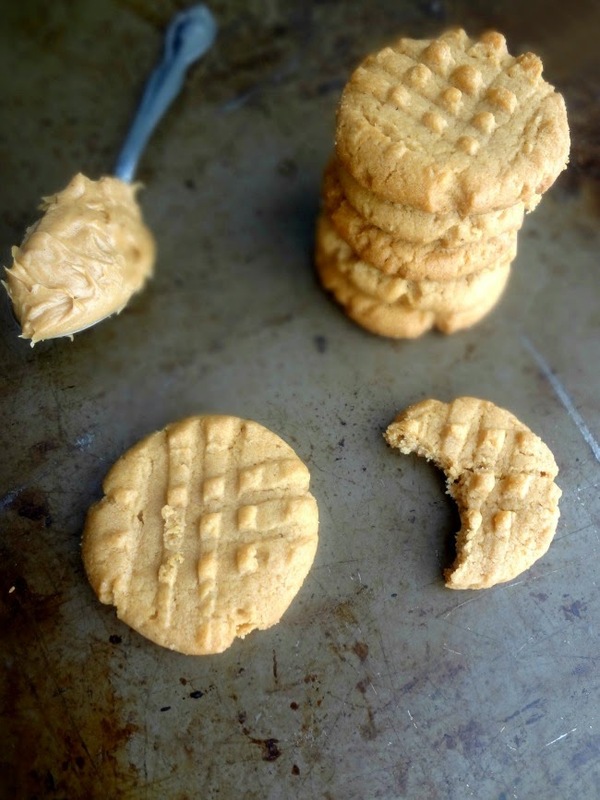 Beat together the peanut butter and sugars until well combined. Mix in egg and baking soda for a couple minutes. Using a small cookie scoop place small balls of dough about 2 inches apart from each other. Using a fork, create a criss-cross pattern on the top of each dough ball. Bake 6-10 minutes, until lightly browned around the edges. Allow to cool on baking sheet for a few minutes and then transfer to a wire cooling rack to finish cooling. Store any leftover cookies in an airtight container for up to 6 days. Hey. Guess what? Today, Michael and I are flying to NYC for a little visit. We're staying with my cousin Emily and will try to meet up with a few of our friends and mostly eat all the food we've missed! Plus we'll see all the Christmas-in-NY things and maybe hit up the American Museum of Natural History. We'll be coming back on Saturday and...I don't know...it feels a little weird to be a visitor there, you know? I guess we'll see how it feels once we're there. :) I know we'll have lots of fun, that's for sure!